Alexander Brun, MD, is a board-certified gastroenterologist with extensive experience. Gastroenterology deals with the conditions and symptoms of your digestive system. With state-of-the-art diagnostic tools, Dr. Brun can tell what you’re suffering from so he can treat it. Some of these procedures — like the biopsy and colonoscopy — are preventative or diagnostic tests. A colonoscopy, for example, is a colon cancer screening. Given the myriad conditions that can affect your digestive tract, it pays to know an expert you can count on: Dr. Brun. Dr. Brun received his Doctor of Medicine (MD) degree in 2005. He continued studying for a Doctor of Osteopath (DO) degree, which he earned from Sunny Downstate College of Medicine. 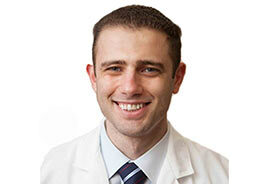 He completed his fellowship residency in gastroenterology from Hofstra North Shore – LIJ School of Medicine. He completed an internal medicine residency program from the Rutgers-Robert Wood Johnson Medical School. A researcher and instructor, he’s been published in internationally recognized journals. He’s even contributed to medical textbooks on topics ranging from gastrointestinal bleeding to neonatal gastroenterology. Fluent in both English and Russian, Dr. Brun is dedicated to providing quality healthcare at the Century Medical and Dental Center. Schedule a consultation today.